The paper explores empirically whether income inequality has increased over the past decades. To study this hypothesis, the paper aims to create a new income inequality dataset contains 133 countries over the 1990–2014 period. The results indicate that globally income inequality (population-weighted Gini coefficients), on average, increased from 38.6 to 41.8 during the period 1990-2014. The results further highlight the existence of variations in the level of income inequality across regions and group of countries. The reduction in income inequality, among others, remains one of the key challenges of the 2030 Agenda for Sustainable Development. 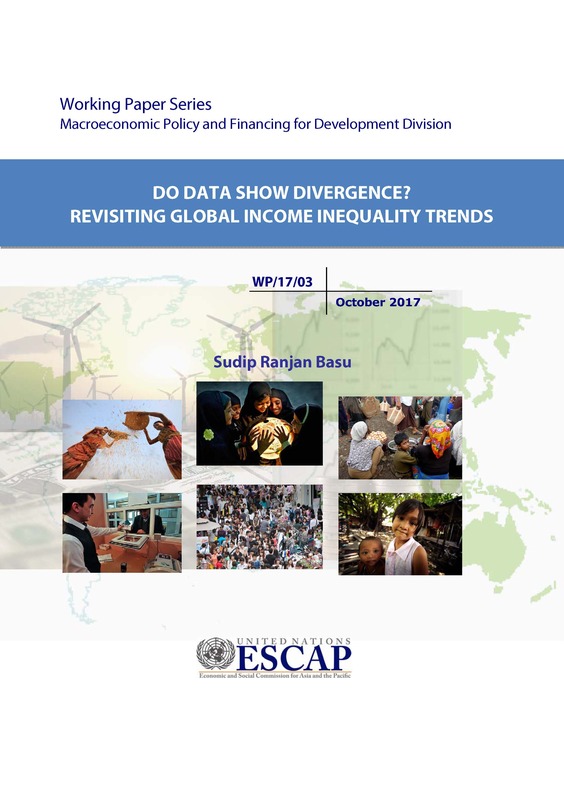 The paper, therefore, identifies various transmission mechanisms and drivers of the increasing level of income inequality, as well as points out possible forward-looking development policies to reduce income inequality.